Today's Photo of the day was shot by a Canon Digital Rebel SLR by "dle wynpa" from Philadelphia on August 8, 2011. 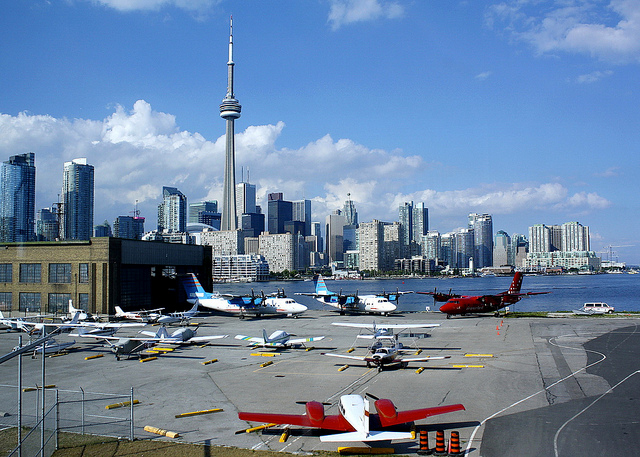 It's a beautiful shot of Toronto's Billy Bishop Toronto City Airport with a quite dramatic view of the downtown. Why & How Much Do Canadians Invest in Recreational Property?